Do you feel like you can't lose weight after menopause? Do you want to know how to lose weight after menopause? Some women have been told that weight gain in middle age is unavoidable. And others believe that weight loss is impossible after they've gone through the transition. But research has shown that losing weight after menopause is possible and it's a smart choice if you are overweight and want to improve your health. Researchers don't know exactly why some women gain weight in midlife. But scientific studies have shed some light on factors that may have an impact. A study published in Medicine & Science in Sports & Exercise showed that physical activity level and body fat are strongly connected in women between the ages of 50 to 59. Women who maintained high levels of aerobic physical activity gained less fat. So if you are concerned about your weight during menopause and beyond, staying active may be the best way for you to prevent those extra pounds from padding your hips. What kind of exercise is best? There are three kinds of exercise you need to lose weight or stay slim. But if you only have enough time during the day to do a brief workout, a brisk walking workout followed by a few weight bearing strength exercises will help you to maintain your figure. If you're trying to slim down, make sure you try to do some exercise on most days of the week to burn enough calories for weight loss. You can learn how many calories you need by using the weight loss calorie goal calculator below. As we age, many of us let exercise fall to the bottom of our priority list. Maybe it's because we are busy, maybe it's because we become less body conscious as we age, or maybe we fall into a comfortable rut. Regardless, the priority shift that some of us make can have consequences. 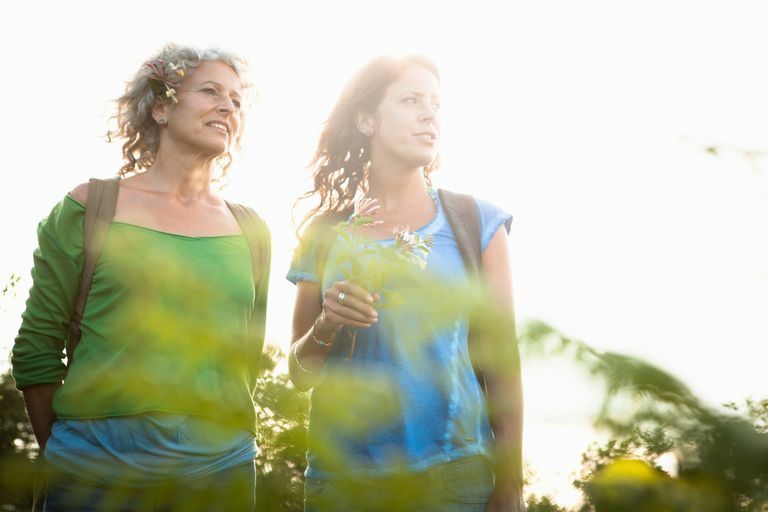 Many experts feel that midlife weight gain has more to do with lifestyle than with hormonal factors related to menopause. So your plan to lose weight after menopause should include a program to stay active. You may want to invest in a fitness tracker or activity monitor to make sure you're getting enough movement to slim down or stay lean. You can also join a gym or take steps to lose weight at work with the help and support of your job mates. If you have retired, learn how to start an exercise program at home to shape a lean strong body. In my experience as a trainer, I have found that women who are very physically active prior to menopause are the women who are very physically active during and after menopause. So what does this mean for you? It's a good reminder to make vigorous exercise a regular part of your life at every stage. Don't wait until you need to lose weight to start an exercise program. Do it now. Get support from your family, involve your kids, do what is necessary to stay fit and active. It will pay off in the long run. How Effective Is the Menopause Diet?